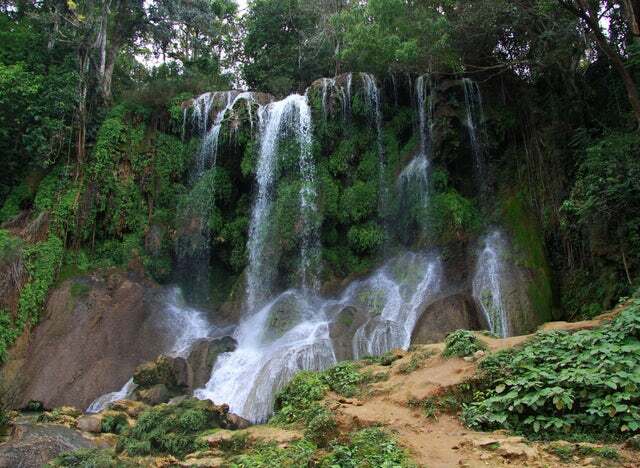 Tucked in between Cienfuegos and Trinidad and is a stunning waterfall that is the pride of Cuba. Find out why it's become such a popular tourist attraction. How to describe the El Nicho waterfalls? In a word – incredible. Surrounded by the tall, leafy trees of Cuba, under the clear blue sky, among the music of the many birds in the forest, this place is easy to fall in love with. It's not just the water - there are hiking trails to take, and forest animals to encounter as well, but you simply can't resist a plunge into the crystal waters of the natural rock pools at the base of the waterfall. Enjoy lunch on the rocks as you bask in the sun, then spend the rest of the afternoon splashing around in the cooling waters. If you want, take a walk through the caves for a little adventure. Getting to the falls is pretty easy. 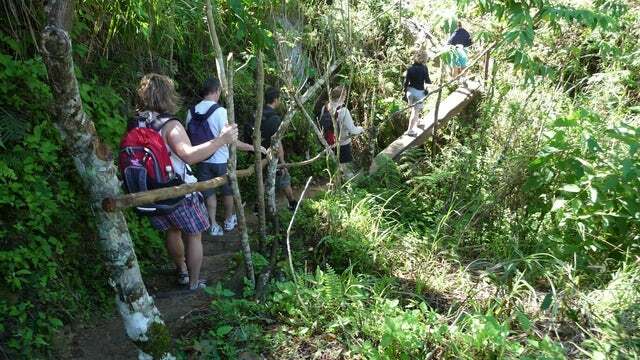 There are roads leading to it and you can take a ride on the bus or rent a 4-wheeler pr jeep. Of course, the trip there also has its merits. Look out for the colourful Tocororo birds, and snap some great pictures of the mountains in the distance. El Nicho is a veritable paradise and one of the best places in the world to slow down and simply enjoy the sights and sounds of nature. Book your trip to El Nicho today!